We are all storytellers. Stories are a part of us, in our blood, our hearts, our DNA. We have been telling and listening stories from the beginning. They teach, entertain, enthralled, but most of all they stick with us. Imagine sitting around a campfire with a group of friends. The flames have died to embers, crickets chirp, The moon casts mottled shadows. Everyone waits breathlessly for the storyteller. "Have I ever told you about the time that I was blessed with all of the mind-blowing knowledge about the answers to life, the universe, and everything? No? Well, sit back, grab an drink and be prepared to have your mind blown away by this shockingly true story of how I learned and lost it all. You see, I was shaving my legs at the time. This was long ago, when twin blade razors were still considered cutting edge technology. Why yes, I've always had a sharp wit. Okay, okay! Stop throwing tomatoes! Why did you bring rotten tomatoes to a camp out anyway? I was also in my early twenties, which was a time best described as transitional. At worst, it could be described as a time of typical and utterly unremarkable existential crisis. I was never the type who thought I had it all figured out. On the contrary, I was the type who was always asking, “What does this all mean? Why are we here? What is my higher purpose?” For the record, this stemmed from a theological identity crisis and not, as it might look, from a copious amount of drug use. Though I do admit to dangerous levels of caffeine intake as well as much pretentious cigarette smoking whilst sitting in coffee shops, scribbling (even more pretentious) prose in a desperate attempt to find the answers to all of life’s little mysteries. That the answers I was desperately seeking would come to me in the middle of such a mundane activity as shaving my legs was at once insulting and freeing. That I managed not to cut myself was a testament to the quality of the off brand razors sold at the dollar store. That I was shaving in the dark was a direct result of a poor decision by the landlord to have an electrical outlet installed on the lamp base that sat directly over the center of the shower. That last bit just might be rather integral to what happened next. I remember scraping the cheap twin blade over the cursed black wires that marred the ivory landscape of my sun-deprived legs. My mind was wandering, as it was wont to do. Likely, I was thinking about what I was going to wear to work that evening or which diner I was going to grace with my pretentious presence after work, or why such an amazing and gifted individual such as myself was still single. But then suddenly, I wasn’t thinking about any of those things. There was a blinding flash of light and lo and behold! I could see everything! By everything, of course, I mean the meaning of life. I knew why we were all here. I knew specifically why I was here and what my ultimate purpose was. I knew that Bob Marley was right and every little thing really was going to be all right. And then I was filled with a giddy euphoria that no drug in the world could ever come close to reproducing. I was, as the old joke about the Dali Lama at the hot dog stand goes, one with everything. But no sooner was I gifted with the ultimate insight that it was taken away. I crashed back into reality and found myself perched precariously in my itty bitty shower stall, one foot clutching the soap dish with my hand still dragging the soapy twin blade across my shin. The thin trickle of tepid water still sputtered against my back and the conditioner in my hair making a beeline for my eyes. My heart still pounded, but the euphoria was gone, along with all that I had just discovered. 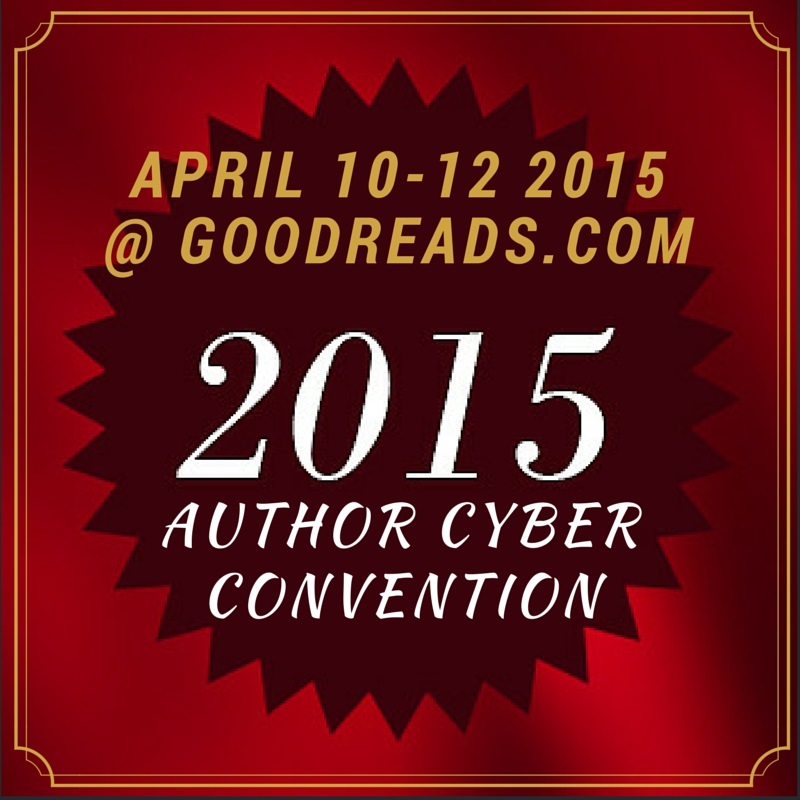 If you've enjoyed my tale, be sure to check out all of the other storytellers participating in The Story Hop over at the 2015 Author's Cyber Convention on Goodreads. Of course, while you're there, be sure to check out our booths for trivia, games, interviews, free books, and all kinds of prizes! K. Caffee, author of the Follow the Torments series. Her blog is here. Bea Cannon, author of the Spaceships and Magic series. Her blog is here. yes i did enjoy this and you are a good comic writer also.